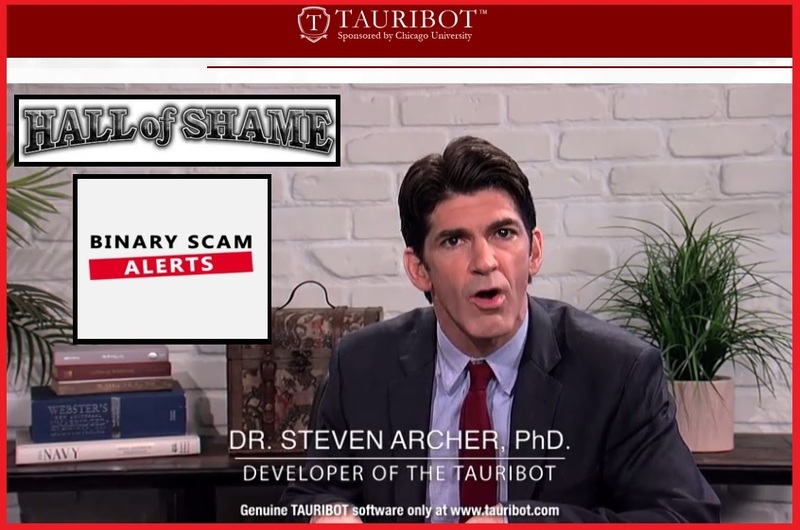 If you have searched the internet looking for an honest review about the Tauribot automated trading software (AKA Tauribot App) and Dr. Steven Archer, you will be shocked when you see the proof of SCAM our staff of researchers have provided after concluding their in-depth and comprehensive investigation. Update: Tauribot is still being promoted very aggressively so please be super alert and never give out credit card details. 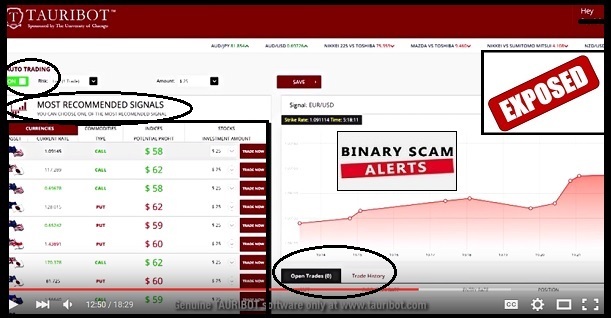 The images below display the automated trading software inside the Tauribot App and the Citidel LTD App. If you compare the two images and the circles inside you will see it’s a rehashed piece of crap code which will steal your money and give it to the broker. Is Citidel the Same As Tauribot? The short answer is yes. Its the same technological infrastructure with a different skin, design, and color palette. The only thing different is the people who market the app and how they acquire customers. In fact, in many cases the same advertisers will contact you with multiple offers selling you the exact same thing only made to look different. The diagram below illustrates how the scam works. If you are lucky enough to work with a regulated broker, you stand a chance of getting a refund. However, since the whole broker selection process is done for you, the chances of that happening are relatively low and while there are honest unregulated brokers out there, most of them are hacks and thieves that will not hesitate one second before fleecing your wallet and using scam tactics like overcharging. A quick look at the Chicago University Faculty page reveals the whole story. The only Steven Archer I found was president-elect of American Heart Association and a world renowned Cardiologist. However, his name is spelled differently and I can promise you that he does not have anything at all to do with this scam app. Newsflash, there is no think tank in that University’s economic department, just like there is no Tauri Equation (feel free to Google It), and Patricia Johnson looks really nice, but she does not work for channel 7 news. Here we have the good Doctor telling us a story about how they were stalled for a year with their trading app, and then the solution to a complex mathematical equation came from a 15 year old autistic boy. It’s getting really boring listening to these colorful stories and lies about how they made a ton of money with some fake app. Push-button technology, easy money and fast cash? 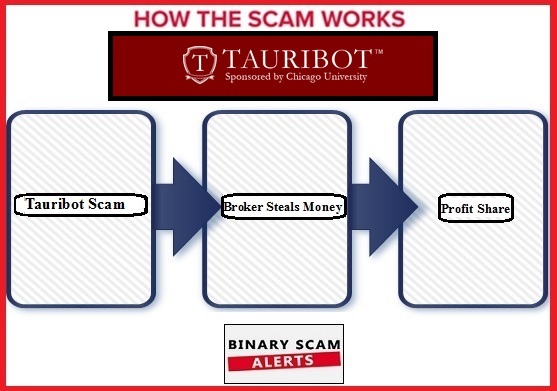 Once activated the Tauribot software will drain your wallet after losing the trades for you. You won’t need to keep monitoring complex financial charts when using this bot, because your balance will be lost very quickly by the app after you fund your account. No need for market, technical analysis, or any other form of charting. 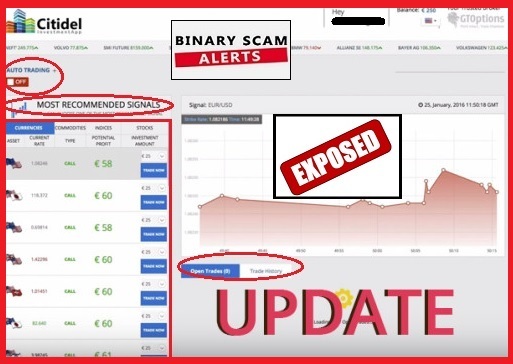 The Tauri bot signals indicate precisely when you will lose in a given time, and take the trade so you can make the least amount of profits on a daily basis trading binary options. The system has already been tested by certified ripoff artists and Cyber criminals so rest assured, your money will be stolen very efficiently. Why are the reviews raving about this app? Who cares right! Use your common sense and make an informed decision before you buy into this app because if you are reading this review it means you are either educating yourself in order to avoid getting scammed, or have already been scammed by this app and are asking yourself how could I have done something like this? 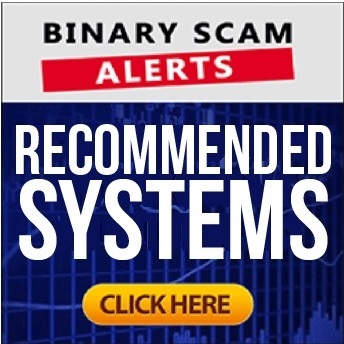 We fully endorse the Binary Profit Method proudly advertised on this site. If you must have a trading but please read our Virtnext Review. Tauribot is a rehashed piece of garbage software that will steal your money. Steven Archer is a fake, impostor, and an actor who will sell his own mother for a worn out dime. There is nothing real, factual, honest, genuine, or legit about this fraudulent app and I strongly urge you keep your distance from it.